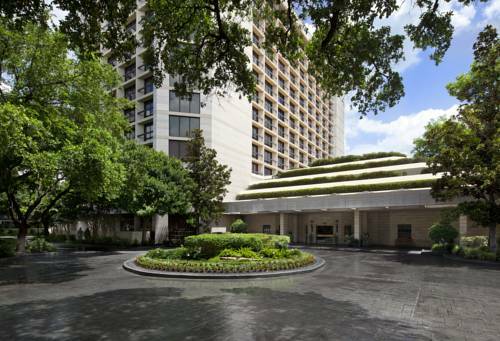 Near the vibrant epicenter of the nation's energy capital, we are perfectly located between River Oaks, the city's most exclusive residential neighborhood, and the Galleria, an international mecca for luxury shopping and world-class entertainment. The St. Regis Houston is committed to delivering its guests an unrivaled dimension of bespoke service from arrival to departure, and beyond. An impeccable staff prides itself in far exceeding expectations. There is no address like The St. Regis. Expect unforgettable ambience every time you walk through our doors. Instantly relax into the sumptuous surroundings created through rich d cor and glistening marble. An elevated level of St. Regis Butler Service is available for our suite guests. Ideally located on a quiet business and residential street just 9 miles west of downtown, The St. Regis Houston resides in one of the city's most exclusive areas. Just minutes from Memorial Park--a jogger's paradise--the hotel affords easy access to major traffic arteries, entertainment destinations, tourist attractions and world-class shopping. Escape to an intimate setting amidst a collection of California s finest wines. This private venue offers a cellar-like atmosphere, where the chef s culinary surprises offer an evening to be remembered for you and your closest friends. Head to The Remington, one of Houston s hottest night spots, where live bands are featured on Friday and Saturday nights. Afternoon Tea is a time-honored tradition at The St. Regis Houston. Red. It s the new color of The Remington Restaurant and a good indication of the vibrant energy in it.